Cookie time is about to get better! 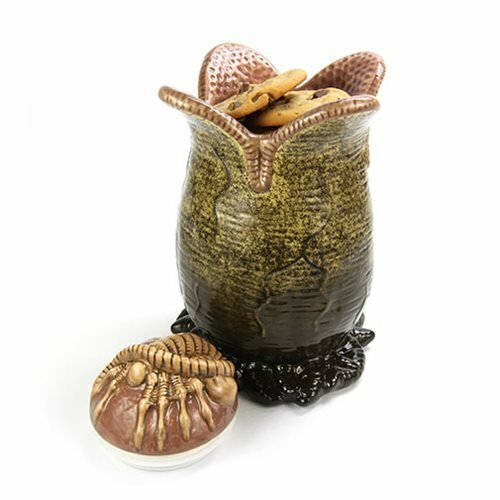 This food safe Alien Ovomorph Egg Cookie Jar has a removable lid with re-sealable rubber gasket to keep your cookies fresh! Hand wash only with gentle dish soap, air dry. Not dishwasher safe. 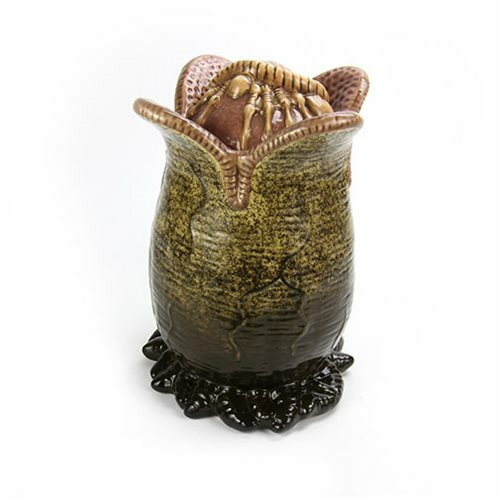 The Alien Ovomorph Egg Cookie Jar measures 9-inches tall x 5 1/2-inches wide.